From Nanning, I rode on a bus from the terminal at Nanning International Tourism District Center just close to our hotel V High Class Hotel and took an eight-hour ride to Hanoi. It was a long trip but an enjoyable as I have seen beautiful sceneries along the way. 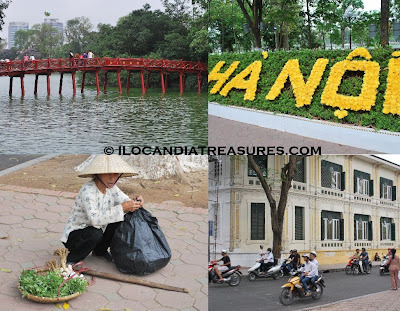 Hanoi is the capital and the largest city of Vietnam with a population of 6.5 million. It is located in the right bank of the Red River. It was founded in 1010 and will celebrate its 1000 years on October 2010. It is the most important political center of Vietnam. We all know that this country was colonized by France and occupied Hanoi in 1873 and passed to them 10 years later and it became the capital of French Indochina in 1902-1954. Hanoi was named formerly as Thang Long which means Ascending Dragon which was claimed to have seen in the Red River. It also meant ascend and flourish. 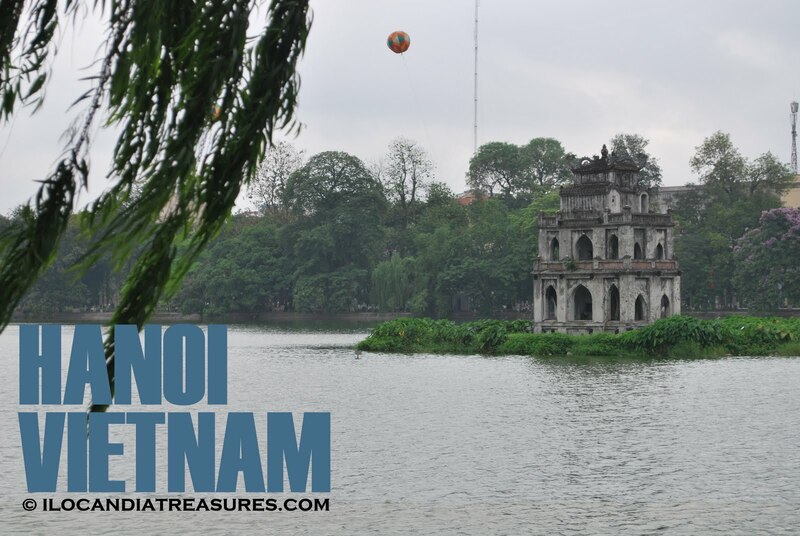 In 1831 its name was changed to Hanoi which means Between Rivers or River Interior. Hanoi is a sister city of Manila. This is my third time to visit Vietnam. The first two ones were in Ho Chi Mihn City in 2002 and 2007. When I learned that it’s possible to take a bus to Hanoi from China then I took the chance. I then requested for a double entry visa to China to be able to come back for my return flight. I was fetched from the bus terminal by my local friend Nguyem Huu An. We worked together in a program in Japan in 2005. He was driving his motor scooter and rented one for me to take me to my hostel. It was the same scene in Ho Chi Minh that there were numerous motorcycles plying the streets. After checking in, he treated me for some snacks. We showed me around by taking me to the Hoan Kiem Lake and have seen the Turtle Tower in the middle of it. There were lots of tourists around. Some old colonial buildings were preserved in the area. One prominent structure is the Hanoi Opera House which was built by the French colonists between 1901 and 1911. It is the replica of the Palais Garnier of Paris. He took me to St Joseph cathedral and the old library. He taught me how to pronounce Vietnamese words by considering the marks placed above the letter. According to him a word may have same spelling but has different meaning when pronounced. Later, he let me watch the popular puppet show. He took me for a dinner with the popular Vietnamese beef noodles. We chilled out at the popular hang out place of the teenagers just close the cathedral. I was surprised to see many of them on side streets sitting and chatting over some drinks and sunflower seeds. On the next day, I went around for some photo shoot spending time at the Temple of Literature. He took me for breakfast and sent me off to the hotel where the bus takes its passengers. We then bade goodbye.